"Sporting beautiful brightness and liveliness, the 2013 Brunello di Montalcino offers blackberry and cherry nuances enhanced by spice, leather and elegant balsam herb. These various characteristics reach a soothing sense of balance and delicate harmony that reflects the best assets of this undertone vintage." "Andrea Cortonesi, the founder, proprietor, vigneron and winemaker for the Uccelliera estate, was also running his own restaurant in Siena called Il Casato. 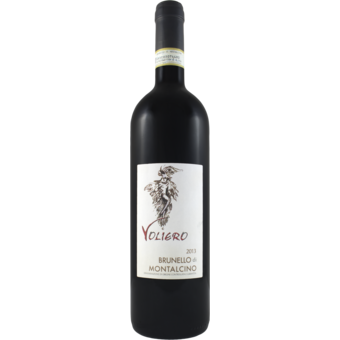 It was in his capacity as restaurateur that the Voliero label was born, from vineyards 200 meters higher in elevation than Uccelliera, and produces classic Montalcino Brunello. It combines two high altitude vineyards of Castelnuovo and Sant’Angelo, and plays on the elegance, finesse and brightness that its elevation imparts. 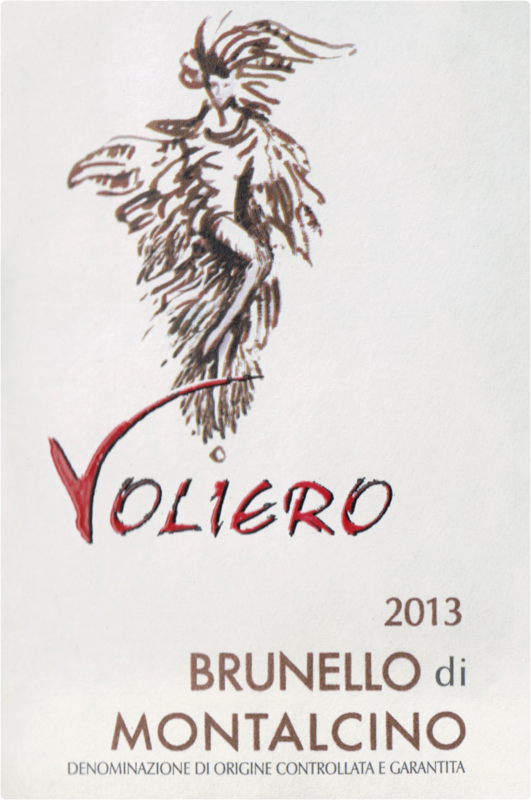 Now in its 11th year of production, some things have changed at Voliero, but most have remained the same. Production is still very limited, with only about 600 cases of Brunello produced each year. The vinification, as always, has been fairly traditional: spontaneous fermentation in temperature controlled stainless steel with fermentation/maceration lasting about 20 days. The wine then goes into large Slavonian oak casks of 20 hectoliters and larger for 30 months. In 2010, Antonio Galloni was visiting the estate and tasted the Voliero wines. He flipped: “...a fascinating contrast to Cortonesi’s wines from Uccelliera, which of course come from the southern part of the zone. This is a taut, energetic wine that shows off the dazzling freshness and vibrancy typical of this part of Montalcino. It is an impeccable, totally refined Brunello, especially when compared with the decidedly wilder, more sauvage Brunello from Uccelliera...” With such high praise, even though Cortonesi had not intended Voliero for export, the wines immediately found an audience, especially in the U.S. Importer Michael Skurnik was among the first in the United States."